Marvin was born with a male body and a feminine spirit inside, that was aching to come out. Figuring out that she was not really a man and then finally fixing that conundrum took a very long time and a lot of energy. Here is her story, written especially for her kids, grandkids, their kids, and for all who struggle with a loved one with a non-conforming gender identity. Marvin worked in the masculine profession of civil engineering and spent many years in Hawai'i, Brazil, Africa and south Asia, doing good things for rural agriculture communities. 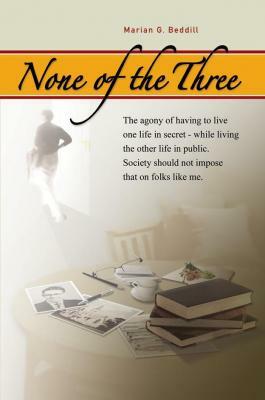 The agony of having to live a secret double-life was very stressful and constrained her from living an authentic life. Those decades of living in fear of being discovered as a transgendered person took a heavy toll on her well being. People should not have to face that kind of oppressive fear, she says. But she was born in Louisiana in 1936, and in those times she was obliged to hide it, sure that discovery would cause a personal, financial and family disaster. Then, almost at retirement age she finally began living as a woman. Now in her seventies, she identifies with that Chinese proverb "May you live in interesting times", and she has indeed lived an extraordinary life. Marian has now had twenty-plus years of joy as her true self.